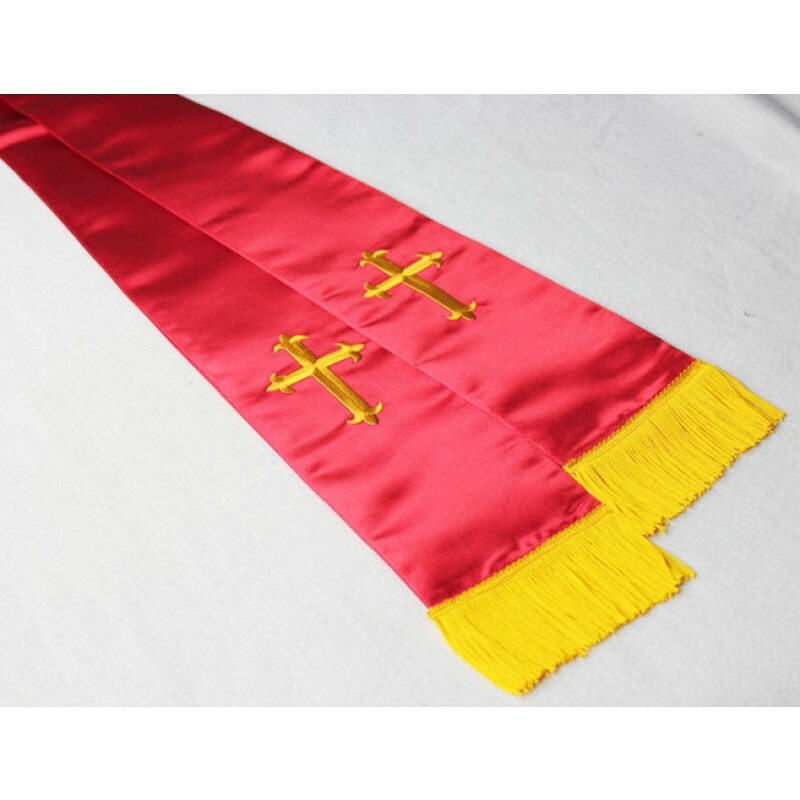 The Clergy Stoles with Embroidery Cross is made of highest quality polyester fabric and finest workmanship. 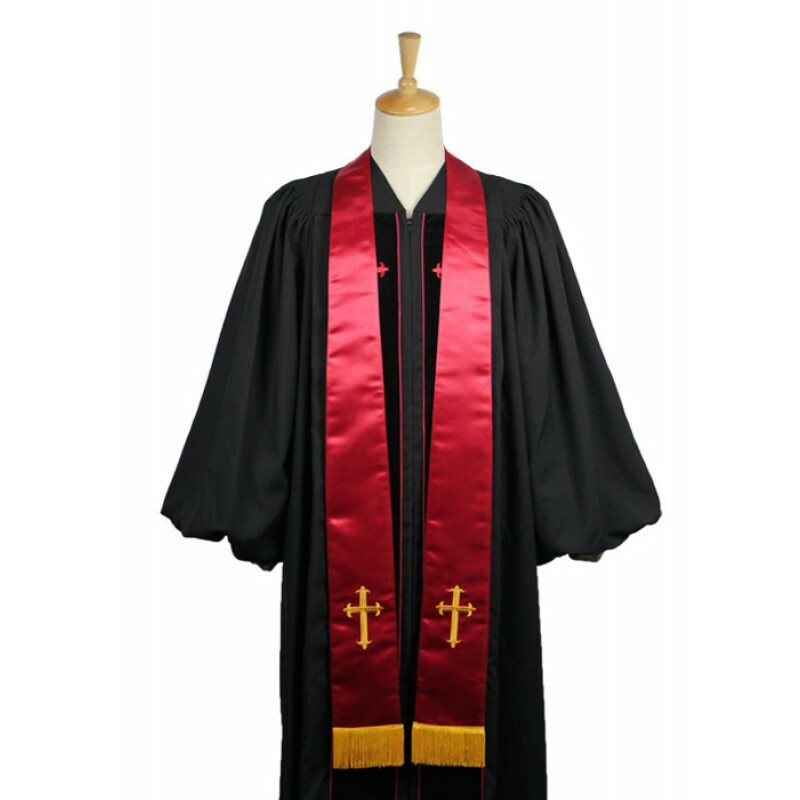 And Embroidered on the side with bright gold Latin Crosses as shown. what’s more, it is Free-wrinkle and durability. There is approximately 90" in length. 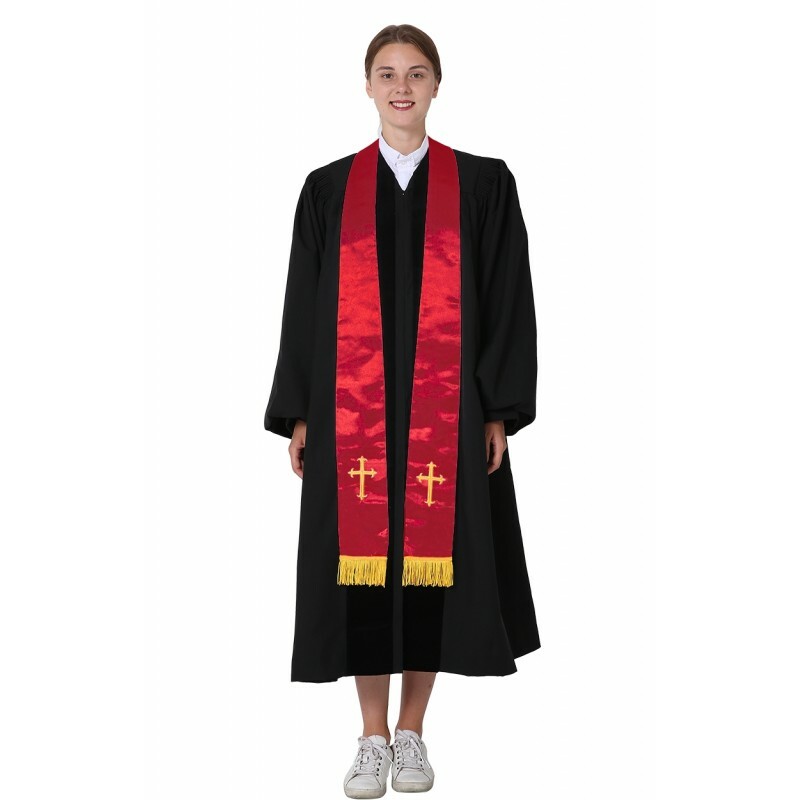 It is really a good choice to match our clergy robes. 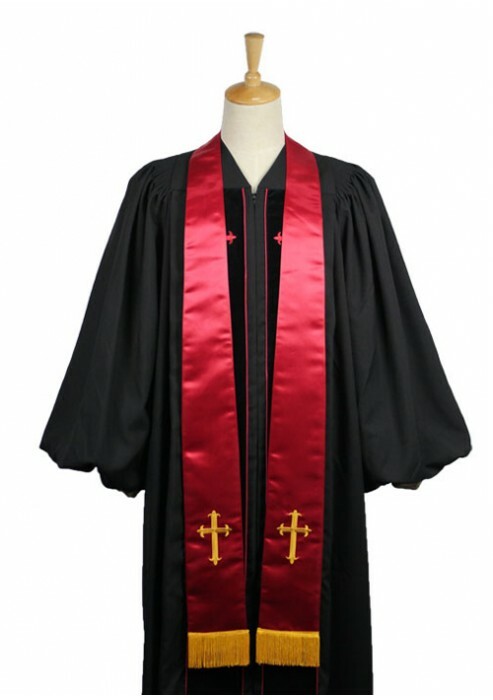 And there are five different colors for you to choose, and they are all in stock, which can be ready to go.